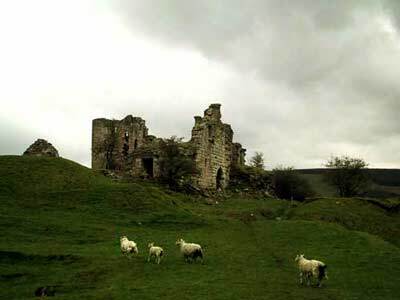 Sanquhar Castle is to be found at the very end of the village of Sanquhar, Dumfriesshire, on the same road which leads to the grander Drumlanrig Castle. 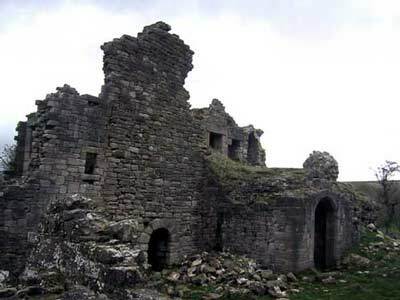 Sanquhar was once the home of the Edgars and the Rosses, but fell into the hands of the Crichtons of Sanquhar in the 13th century. The scene of many sieges and captures in the Wars of Independence, it has been visited by Robert the Bruce, William Wallace, Edward I (1298); Edward II (1307), Mary Queen of Scots and James VI. Latterly held by the Douglas family, the castle fell vacant about 1690 with the building of Drumlanrig Castle and is now in the ownership of the Marquis of Bute, Lord Sanquhar. 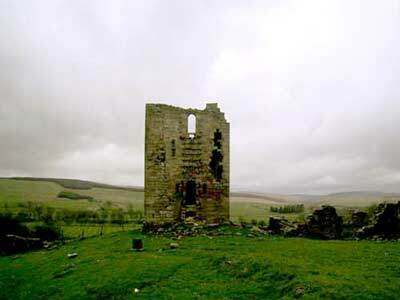 Sanquhar was one of the castles Mary sought refuge in after her defeat at Langside on 13th May 1568. 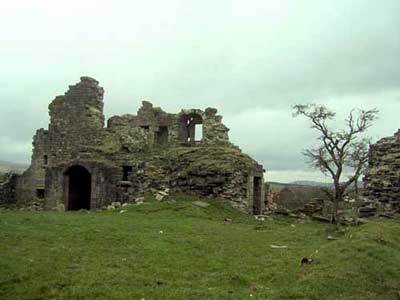 From there, she would head for Terregles Castle, Dundrennan Abbey and make the fatal decision to sail from the Solway Firth into English territory. 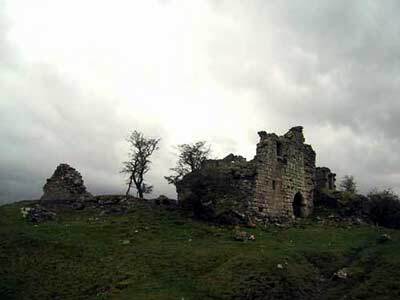 Sanquhar Castle is but a forlorn windswept ruin which leaves the visitor with a real sense of foreboding. A flock of inquisitive sheep have made it their home, while an emaciated tree bears testimony to its haunted past. Sanquhar Castle is accessible all year round.